(Leah Hogsten | The Salt Lake Tribune) HandleBar co-owner David Morris at his new bar in Salt Lake City's Marmalade neighborhood. it replaces Club Jam, a gay bar and dance club. (Leah Hogsten | The Salt Lake Tribune) Vintage bicycles hang from the ceiling at HandleBar, in Salt Lake City. 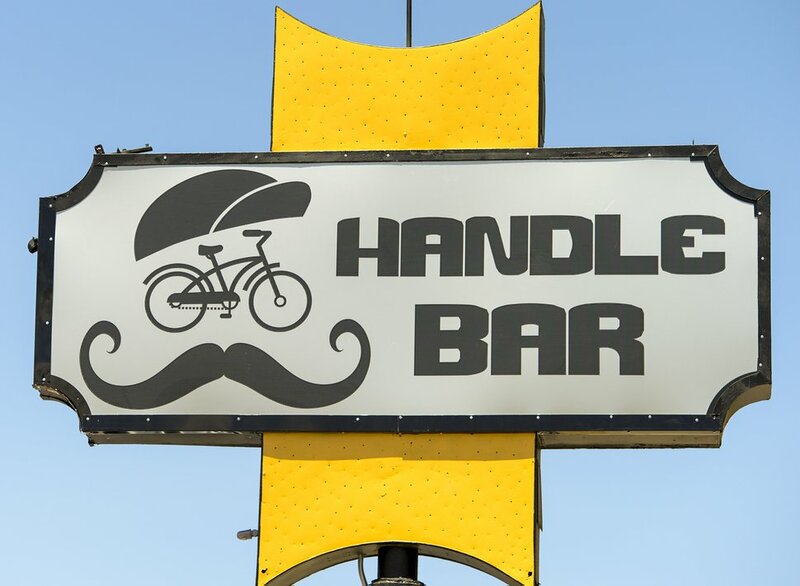 (Leah Hogsten|The Salt Lake Tribune) The new sign at HandleBar, showcases its cycling and mustache theme. (Leah Hogsten | The Salt Lake Tribune) HandleBar, a new biker bar in Salt Lake City's Marmalade neighborhood, features iconic photos of famous mustached men like Salvador Dali. Leah Hogsten | The Salt Lake Tribune Mel Shingleton with Liquor Systems installs the beverage and liquor management systems at Handle Bar, Thursday, June 7, 2018. The inside of Handlebar, a new bar in Salt Lake City's Marmalade District, that features iconic photos of famous mustached men, vintage bicycles hanging from the ceiling, bike parts decorating the walls and one of a kind bar stools made from various bicycle parts. (Leah Hogsten | The Salt Lake Tribune) HandleBar co-owner, David Morris, draws a laugh from bar manager, Ryan Stapley, left, as he tests the placement of a Guinness beer tap. The new bar opened this week in Salt Lake City's Marmalade neighborhood. (Leah Hogsten | The Salt Lake Tribune) The colorful patio at HandleBar in Salt Lake City's Marmalade District. (Leah Hogsten | The Salt Lake Tribune) HandleBar, a new biker bar in Salt Lake City's Marmalade District, features iconic photos of famous mustached men, including co-owners David Morris and Jesse Wilkerson, bottom right. 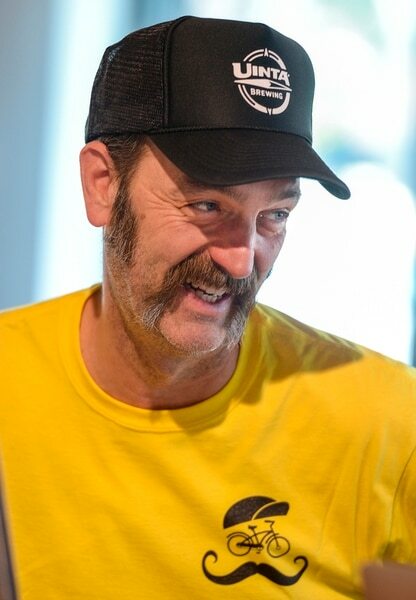 (Leah Hogsten | The Salt Lake Tribune) HandleBar, a new biker bar in Salt Lake City's Marmalade District, features iconic photos of famous mustached men, including Freddie Mercury, Utah's own Wilford Brimley, Cheech Marin and Bert Reynolds. (Leah Hogsten | The Salt Lake Tribune) HandleBar, a new bar in Salt Lake City's Marmalade District, features iconic photos of famous mustached men, vintage bicycles hanging from the ceiling and one-of-a-kind bar stools made from bicycle parts. Salt Lake City’s booming Marmalade neighborhood has a new watering hole that offers residents a twist on the traditional “biker” bar. Wilkerson is no stranger to the food and dining scene, either. He owns Trolley Wing Co. restaurants in Sugar House and Midvale. He pointed to Salt Lake City’s recent Pride Festival and Parade, which enjoyed some of their largest turnouts, according to preliminary numbers. The success was marred, however, when a group of men, yelling slurs, chased gay people into a downtown dessert cafe. Once a neglected area of Salt Lake City, it is now experiencing a renaissance with a new library, scores of new apartments and condominiums under construction and many older homes being renovated. Bars and restaurants are sure to follow the growth. In addition to HandleBar, Blue Copper Coffee, a Salt Lake City-based small batch roaster, has posted a “coming soon” sign on a nearby building. There is a large bike rack out front to park your two-wheelers; you’ll see a mustache “Hall of Fame” as you walk toward the restroom. It features photos of famous mustaches from former President Theodore Roosevelt to actors Tom Selleck and Wilford Brimley. 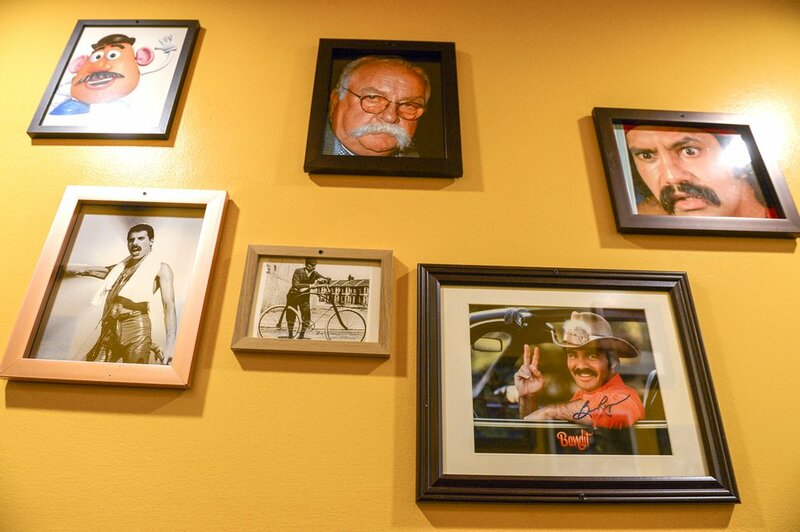 (Leah Hogsten | The Salt Lake Tribune) HandleBar, a new "biker" bar in Salt Lake City's Marmalade District, features iconic photos of famous mustached men, including Freddie Mercury, Utah's own Wilford Brimley, Cheech Marin and Burt Reynolds. Eventually, the partners hope to build a restaurant in the empty lot behind the bar, although they’re not sure what the menu or theme will be. 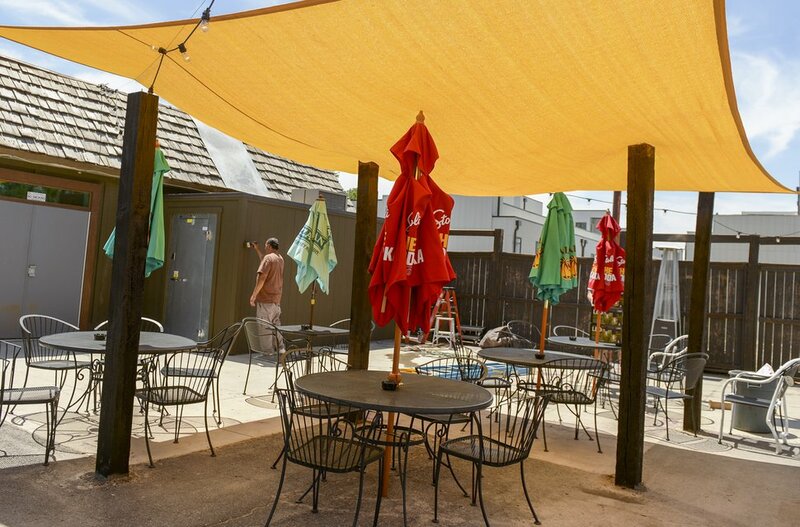 (Leah Hogsten | The Salt Lake Tribune) The colorful patio at HandleBar in Salt Lake City's Marmalade District.